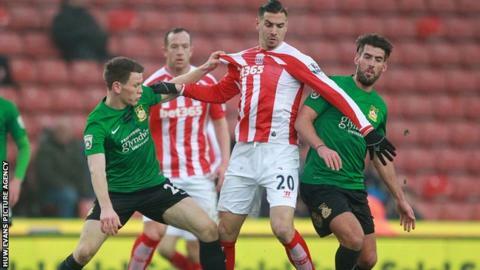 Wrexham will host Premier League side Stoke City in a pre-season friendly at the Racecourse on Wednesday, 22 July. The Dragons lost 3-1 to Mark Hughes' side at the Britannia Stadium in the FA Cup third round in January. The sides also met in a pre-season friendly at the Racecourse in August 2013, which Stoke won 1-0 courtesy of a goal from ex-Wrexham striker Jon Walters. Gary Mills was appointed Wrexham's new manager in April.